Selecting the bat was always a big hassle for me, assuming same for your either. There are a lot of options are available in the market which can confuse you and can lead to the wrong choice. 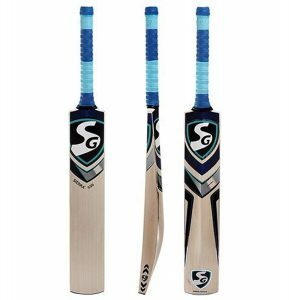 I have reviewed some best cricket bat for leather ball, find these below. Do you know that you should not play with a leather ball if cricket bat is designed for a tennis ball? You can hardly judge the difference between these. Bats are usually made by two type of woods. Basically, player of leather ball used bat built with English willow and tennis ball player use bat built with Kashmir willow. 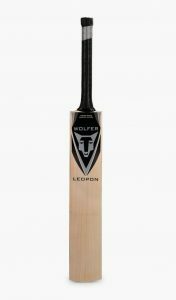 Apart of the willow, there are many other points which need to be considered before buying a bat like size of the bat, weight of the bat, the grade of willow, grains in bat, thickness of edges, handle shape and size and budget too. While picking up the bat, I have taken all these points consideration and mentioned what bat is used for what level of player so you can easily pick for you. I have selected few best cricket bat for leather ball so you do not regret after investing on a bat. Look unbiased review of best cricket spikes shoes if you are looking for a pair for you. You understand very well the importance of the cricket in your kit. I have seen many fellow players who bought the costly bat but don’t play with their own bat when they batting in the match. They borrow a bat from other fellow players. Because they did not buy the balanced bat. I am here presenting some great bat in the budget and as per your playing level with our special reviews. Another thing I noticed, many time that many of players complained that their bat broke in the first week only. I will recommend to do proper oiling and knocking before using the bat to play. Material: The wood material is used for the blade of this bat is English willow. Grains: I am not a big fan to look the grains while selecting the bat. It actually tells us the age of the tree. Older the tree would make the fiber for soft and cause more grains. Soft fiber generates more power when a leather ball hit the bat.It’s said that 5-8 grains bat is good to play. This bat contains 6 – 8 straight grains. Weight: The bat weight is between 1150 – 1200gm which can be considered as lightweight. Blade: The face of the blade is well pressed but you still need to knock in before using it. Make sure you knock it yourself or get it done by a professional. Skill level: You can go for it if have intermediate level skill. Width: It comes with 15 centimeters wide blade. Hand orientation: It ’s designed and crafted in such a way that both left hand and right-hand batsman can play efficiently with it. Handle grip: It comes with a simple grip. I would advise putting on the second grip on that as per your comfort on the grip. SG Cobra Xtreme is beautify traditionally shaped and styled for maximum stability while playing shots. You can count it for intermiddiate skill level. It is the best lightweight bat in this budget. You just have to knock in the bat before using with a season or any other hardball. As I suggested earlier, you can use the second grip on handle for better grip. Material: This bat is built with English willow wood. Grains: SS custom bat contains 6 – 8 straight grains. Weight: The bat weight is between 900-1350 grams based on the size of the bat which can be considered as lightweight. Blade: You should knock in the bat with an old leather ball before playing with a season hardball. Handle: The handle is made from Sarawak cane and designed to bear the maximum vibration. Skill level: Beginner and intermediate level skill players can use it. Protective plastic coat: It comes with a protective coating on the blade, so you don’t need to oil this part of the bat. It is enough to protect the moisture of the wood. 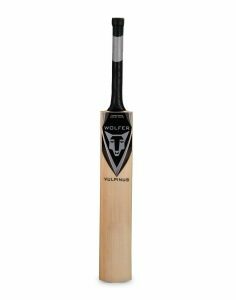 It is the most affordable English willow cricket bat. For young children, it’s an excellent companion in the net. it is an ‘A’ grade bat, with 6-8 grains have a middle sweet spot. To improve the stroke quality and longevity of bat I would suggest to knock in the bat and first play with a used ball for around 2 weeks. Grains: SS premium bat contains 6 – 8 straight grains. Weight: The bat weight is between near 1200 grams based on the size of the bat which can be considered as lightweight. Blade: The thickness of the blade is 40-42mm. As usual for a new bat, you should knock in the blade before using it for season ball. Grip: Handle grip is specially designed with Embossed Sunridges to minimize the chances of slipping from hand. Skill level: Intermediate level skill players can use it. Hand Orientation: Both left hand and right-hand batsman can play efficiently with it. Protective plastic coat: It does not come with protective plastic coat. A beautifully handcrafted bat. The manufacturer used selected Super Grade English Willow for this bat. It can be a good companion for you if you play after proper knocking. It looks best in the budget. Built with UK home-grown grade 4 English willow. Grains: It has maximum 6 – 10 straight grains. 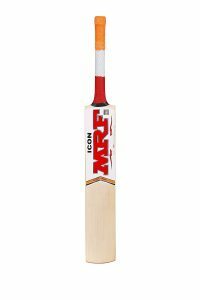 It’s short handle bat so best suitable for a player whose height is above 5 feet 5 inch. It’s not for a beginner, you should go for it if have advance level skill. It comes without knocking so make sure you knock it yourself or get it done by a professional. Tip: Do not play with a bat without knocking, it can cause a crack in your new bat, and you could not make a proper shot before knocking. A beautifully balanced bat with a high sweet spot and balanced pick up. Reviews for MRF icon bat on amazon. Filled with extra wood at the back for powerplay, Thick edges to play big shots with ease. Handle shape: Round handle made from premium, imported Sarawak cane to deliver superior power and control. 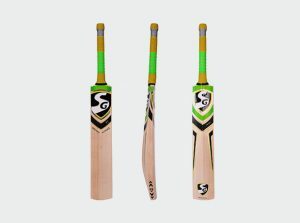 The weight of the bat is between 1150 grams to 1300 grams with good middle to bottom punch and the thickness of the blade is around 40 mm, best suited for age group 16+. Built with grade 3 English willow. Grains: It has the maximum of 6 – 9 straight grains. 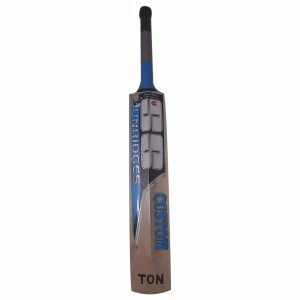 It’s short handle bat so best suitable for the player whose height is above 5 feet 5 inch. The weight of the bat is around 1200 grams. Built with grade 2 English willow. Grains: It has a maximum of 6 – 8 straight grains. 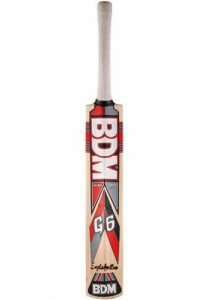 It’s short handle bat specially crafted for opener batsman. Bat is shaped to provide a higher middle sweet spot of the bat. The weight of the bat is around 1240-1300 grams. Bat is shaped with a relatively low sweet spot. Grains: It has the maximum of 6 – 8 straight grains. There are many innovations are going around cricket batting, The former cricketer Anil kumble making a sensor sticker to analyse the real-time data of batting. Tip: To improve the stroke quality and life of a bat I would suggest you play with the used ball for around 2 weeks and make sure you do proper knocking. I really appreciate your this bright step towards society and for cricket lovers, it will great help them.